Committed to helping customers differentiate their products and gain a market advantage, Sabic’s Innovative Plastics business today launched a new breakthrough line of Noryl SA90 and SA9000 resins that can be used as additives for epoxy and non-epoxy thermoset systems. 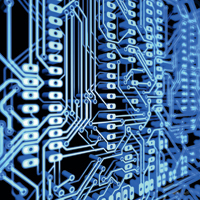 These advanced new materials address expanding requirements and regulations for printed circuit boards (PCBs), including the call for enhanced sustainability, and exceptional overall cost control. Noryl SA90 and SA9000 resins can also be used by makers of pre-pregs and copper-coated laminates, electrical adhesives, composites and coatings – to significantly boost the performance and sustainability of their existing thermoset products without upgrading to more expensive materials. These innovative Noryl SA resins are the latest additions to Sabic’s broad, customer-centric portfolio of unique, high-purity specialty additives and intermediates. "Accelerating advances in electronics are leading to ever-increasing operating frequencies due to faster data transmission and higher temperatures required by lead-free solder operations," says Richard Pontillo, business leader, Speciality Additives & Intermediates, Innovative Plastics. "These rapid developments are in turn creating serious challenges for manufacturers who want to extend the performance range of their thermoset systems without switching to higher cost materials. Sabic’s new Noryl SA resins offer a near-perfect solution because they are compatible with several customers’ existing technologies and supply chains and can achieve major improvements in performance and sustainability. By continuously improving our Noryl resin technology, Sabic provides customers a simple yet powerful strategy to meet rising market and regulatory demands." Sabic’s world-class expert scientists modified the chemistry of Sabic’s renowned high molecular weight Noryl PPO polyphenylene ether resin to create low molecular weight, bi-functional oligomers that deliver an improved balance of low dielectric constant and loss factor, increased toughness and higher thermal reliability. The material also provides substantially better moisture stability, more consistent dielectrics, and reduced loading of non-halogenated flame retardants (FR) versus competitive products. Noryl SA90 resin, designed as an additive for epoxy and cyanate ester-based thermosets, provides lower dielectric constant and loss factor to enable better high-frequency performance (1-10 gigahertz (GHz)) in epoxy-based PCBs to help customers meet the demand for higher operating frequencies and non-halogenated FR systems. Noryl SA90 resin is soluble (at loadings of up to 50 percent) in methyl ethyl ketone (MEK) at room temperature, thus avoiding the use of extreme solvents commonly needed for traditional polyphenylene ether (PPE) resins that can pose difficulties in safe handling in the electrical laminate market. Similarly, Noryl SA9000 resin provides lower dielectric constant and loss for improved high-frequency performance (up to 20 GHz) in non-epoxy based thermoset systems. It allows manufacturers to provide non-halogenated FR in free radical cure (vinyl or triallylisocyanurate (TAIC)) PCBs. Both Noryl resins provide lower moisture uptake for more-stable dielectrics and higher glass transition (Tg) temperatures when appropriately formulated. For example, 40 percent Noryl SA90 resin in bisphenol A (BPA) epoxy can provide a Tg of 165 C; Noryl SA90 resin used in other epoxy formulations can provide a Tg of 190 C.
Thirty per cent loading of Noryl SA9000 resin in TAIC can provide a Tg of 250 C, which is useful for solder float performance and may improve long-term reliability and thermal cycling behaviour. They provide customers with a previously unmet market need due to their compatibility with the thermoset-based PCB laminating process and the excellent balance of high-end properties supplied by PPE. Noryl SA90 and SA9000 resins represent new materials that provide the property enhancement of PPE, but in a form compatible with many thermoset systems. These benefits can also provide value in other markets including adhesives, coatings, and composites. Noryl SA90 and SA9000 resins are commercially available worldwide.